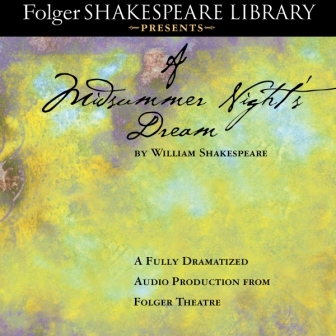 In A Midsummer Night's Dream, Shakespeare stages the workings of love in unexpected ways. In the woods outside Athens, two young men and two young women sort themselves into couples—but not before they form first one love triangle, and then another. The king and queen of fairyland, Oberon and Titania, battle over an orphan boy. To punish Titania for opposing him, Oberon uses magic to make Titania fall in love with a weaver named Bottom. Bottom and his companions ineptly stage the tragedy of "Pyramus and Thisbe." First Fairy song performed by Jessica Witchger.